What are the reasons you decided to plant/revitalize a church in your city? I have always wanted to be involved in church revitalization. God has given me a burden for churches that have gone through hard times but still want to be faithful to the Great Commission. By God's providence I was connected with Renewal (formerly Lifesong). Looking back over the last year and a half we can clearly see this was Gods plan. In November of last year I felt like the Lord was leading us or church to replant. By God's grace we have moved slowly through that process throughout this year. We are humbled by all the ways God has been knocking down walls that would otherwise hinder our growth. The people of our church are excited and filled with hope as we move forward. It has been great watching God unite this church around a new vision. He has been gradually adding to our number with people who buy into our vision. 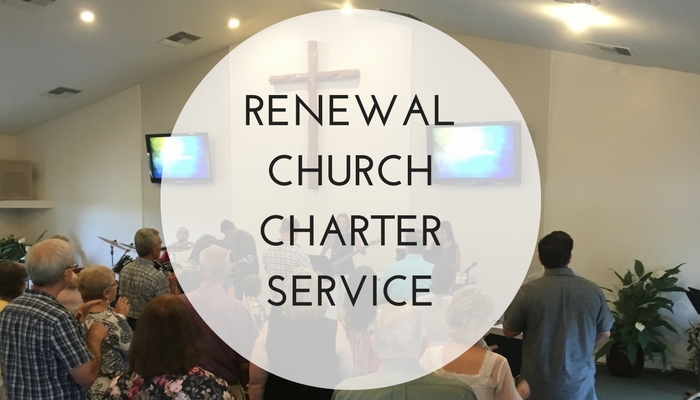 We are having a Charter Service on August 14th to celebrate our new start. This will also be a time when our original and new members will formally covenant with each other. This service along with our new name is an opportunity for us to let our community know that we are a church that is growing and passionate about declaring and displaying the gospel. I would encourage church planters and especially re-planters to keep pressing onward and continue to lean into Jesus for strength, vision and wisdom. It is difficult work, but we serve a great God who is always faithful. I have learned the most about him through failure and heartbreak. Remember, hardship is part of the process. This is how God revives us so we can lead a church towards revival.Also, a re-planter or revitalizer has to maintain the difficult balance of lovingly shepherding the people you have with reaching out to the community to obtain new people. It's a difficult balance that I still struggle with, but both are essential for a dying church to be renewed. I am grateful to be a part of the Pillar Network. We would not be having the success we are having as a church without the leadership and care of those within this network. I want to thank all the people who have labored, sacrificed and are currently serving in the Pillar Network. Pray that our small group ministry will mature.